Ann and I were in Honolulu last week without anytime to post to the blog. 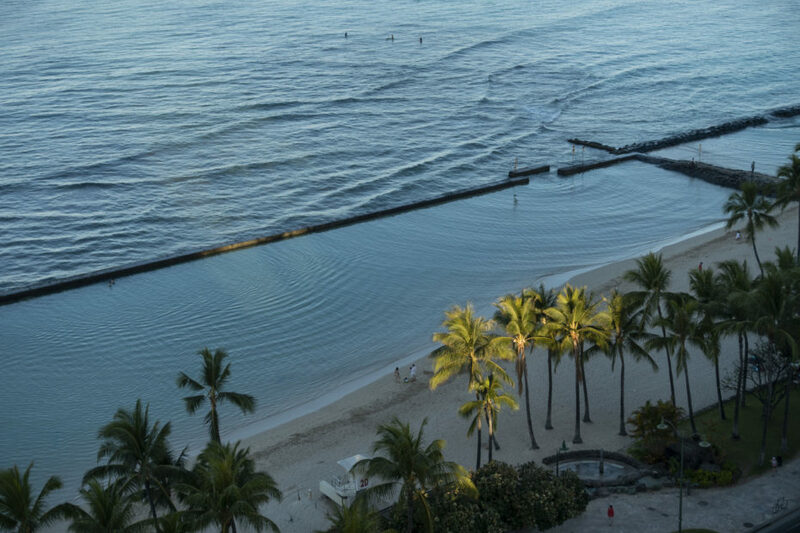 Not on vacation, but working as the ‘Iolani School 2019 McDowell-Oda Chair for Communications and Journalism. Christine, an old friend of Ann’s from the AP who has worked in Honolulu for many years, had recommended several journalists to the teacher at ‘Iolani in charge of the chair. The school liked the various subjects I’ve worked to photograph over the years and extended the invitation before I left for Maui. They asked that I speak to the students in various classes such as photography, U.S. History, Race and Social Justice, Advanced Placement History. 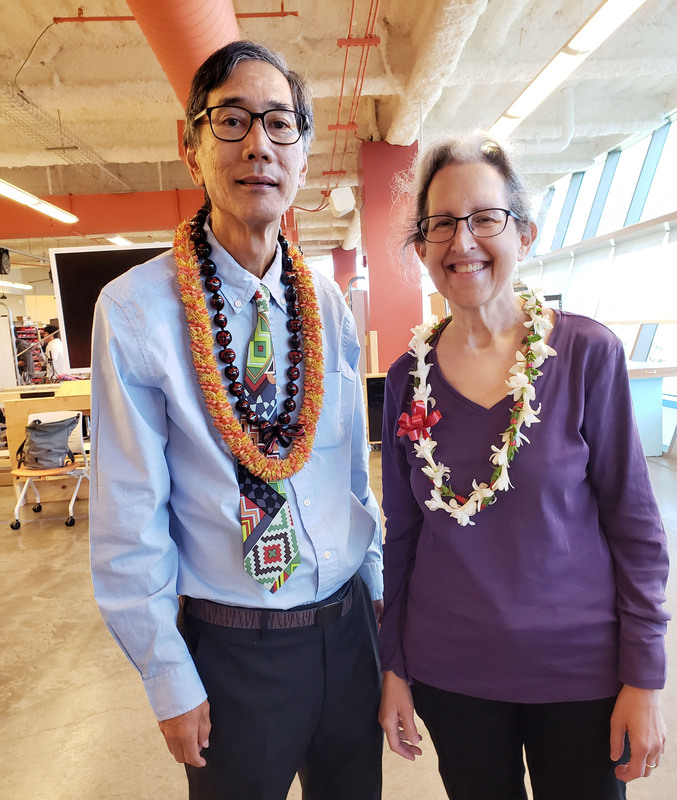 It was an honor to be chosen and speak at the private high school (Barack Obama went to the other well-known private high school in Oahu, Punahou). Instead of returning to New York at the end of my Haleakala stay, I took a short flight to Oahu. Ann was able to come April 1 and spend the week. I had a full schedule of classes, 3-4 a day, but it was fun to meet the students and find out what they are learning. Ann was able to see the Honolulu Museum of Art and the Bishop Museum while I was at the school. Of course, I was presented with several lei during my stay by the teachers and have quite a collection. Ann was also given one at the Thursday night Community Night talk I gave. The only drawback was that I got incredibly ill in the middle of the week. I had been feeling odd since Tuesday afternoon but thought it was minor. On Wednesday after the classes I really felt bad. Ann thought my forehead felt hot and bought a thermometer. It read 103.3 degrees! So she immediately got me to an urgent care center located in a nearby hotel. By then I was over 104 degrees, the nurse and doctor were surprised. The doctor thought I had the flu by the symptoms but a blood test didn’t show any. They gave me a large amount of Tylenol for the fever and an IV of water. After a few hours I felt better. Originally, I was put on the Tamiflu medicine. Friday morning I called about a lab test that came in. They said I had campylobacter, which you usually get from undercooked meat. So food poisoning. Ugh. I only missed a few of the classes and was able to solder on through the Community Night talk and two Friday classes. Then my stay at ‘Iolani was done. On Cipro now and I do feel much better. The school, teachers and students were all great. It was a good experience to present the talks for all the classes. Ann and I managed to get lots of macadamia nuts for gifts, among other things, and find really nice aloha (Hawaiian) shirts. 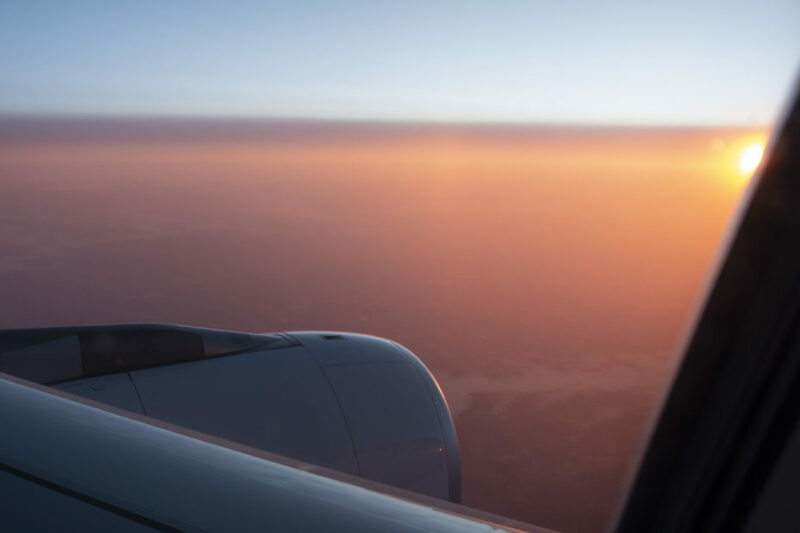 We said Aloha to Hawaii on Saturday and returned home, seeing the sun set and then rise on the same flight. 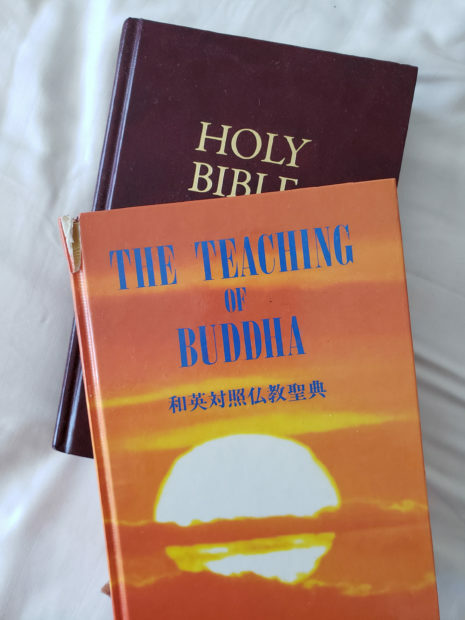 You know you’re in Hawaii when you see The Teachings of Buddha in with the Bible. Waikiki sunrise on the day we leave. A hazy orange sunrise greets us as we approach New York Sunday morning.